A couch is generally not a cheap investment. To keep your couch looking clean and fresh, address stains immediately after they occur. Otherwise you risk the stains setting in, which makes their removal much more difficult. If the bright and colorful ink from a highlighter gets on your couch, clean it as soon as possible using several common household items known to remove highlighter stains from fabrics. 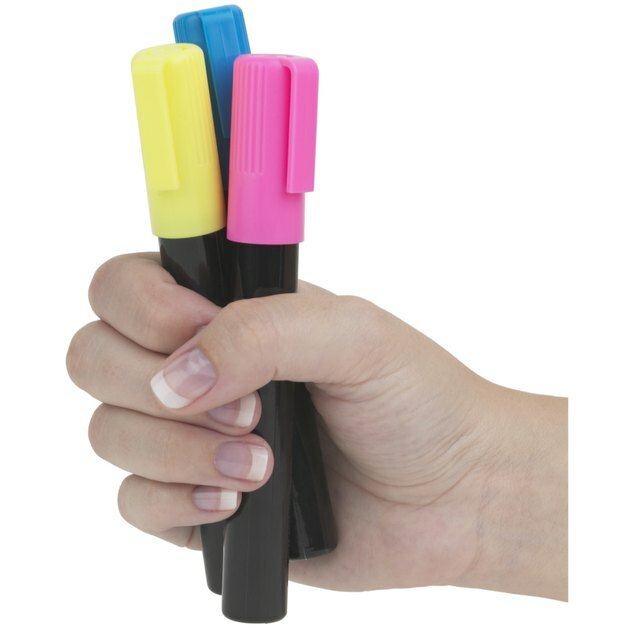 A highlighter can stain so act quickly to remove it. Moisten a sponge, rag or cotton ball with rubbing alcohol and gently blot as much of the highlighter stain away. Dab a little bit of liquid laundry detergent or powdered detergent mixed with water to the stained area. Gently rub it in with a rag or sponge to remove any remaining highlighter stains. Blot again with a rag or sponge, but this time, use hot water to rinse the area of the couch. Repeat to rinse well. Moisten a cotton swab with a bleach solution that contains 1 part bleach and 4 parts water. You can also use a 3 percent solution of hydrogen peroxide. Dab to remove the highlighter stain. This may also bleach the fabric color so before you do this, look at the overall color and pattern of your couch and decide if bleaching will help make the area look more or less conspicuous.